Last week, the U.S. Environmental Protection Agency (EPA) Regional Administrator Gwen Keyes Fleming joined Atlanta mayor Kasim Reed, U.S. Department of Housing and Urban Development (HUD) Regional Administrator Ed Jennings, Jr. and Federal Transit Administration (FTA) Regional Administrator Dr. Yvette Taylor to celebrate the third anniversary of the Partnership for Sustainable Communities. The interagency collaboration helps communities nationwide improve their access to affordable housing, lower transportation costs and increase transportation options, while protecting people’s health and the environment. “Three years ago, EPA embarked on this innovative partnership to change how we interact with our stakeholders and bring about change in the community,” said EPA Regional Administrator Gwen Keyes Fleming. “The programs and projects that are now in place here in Atlanta and across the Southeast, exemplify what can be accomplished when citizens, states, cities and federal agencies work together. We look forward to continuing this partnership and assisting each of these communities in achieving its long-term economic, environmental and public health goals. Since announcing the partnership, agencies have dedicated more than $2.5 billion in assistance nationally to more than 200 communities in 48 states to help meet transportation and housing goals, while also promoting equitable development, protecting the environment and addressing climate change. In addition, $238 million has been spent on America’s rural communities. The partnership, now in its fourth year, works to provide communities with faster, streamlined access to federal resources and programs, and works closely with other states, local governments and federal agencies to ensure that partnership programs use federal resources effectively. 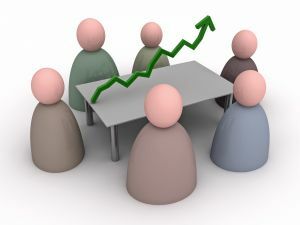 For more information about the Partnership for Sustainable Communities, visit:www.sustainablecommunities.gov/. This entry was posted in Featured, Green Developments, Green News, News, People and tagged Environmental Protection Agency, federal transit administration, housing and urban development, partnership for sustainable communities on September 4, 2012 by Carol Morgan. Gary Grambley, Sterling Custom Homes’ sales director, will soon pound the pavement to better the lives of children with life-threatening diseases. 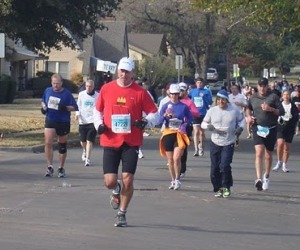 He will participate in the San Antonio Rock & Roll Marathon as a platform to raise money for the Make-A-Wish Foundation® of Central and South Texas. The Make-A-Wish Foundation® of Central and South Texas is also near and dear to the hearts of his employer, Sterling Custom Homes. The Austin luxury real estate builder is showing its support for Grambley and the foundation by pledging to match Grambley’s fundraising efforts up to $2,500. Sterling Custom Homes also donated to the foundation earlier this year. The builder gave $1 per new Facebook “Like” from its fan page (http://www.facebook.com/sterlingcustomhomes), up to 300 new fans. Since 1980, the Make-A-Wish Foundation® (http://www.wish.org/) has been enhancing the lives of children suffering from life-threatening medical conditions through the granting of wishes. The Foundation is composed of nearly 25,000 volunteers, enabling the non-profit to grant a wish every 40 minutes. Anyone interested in helping Grambley along in his fundraising efforts may donate online https://secure.wish.org/ourfriends/031-000/garygrambley.htm. Sterling Custom Homes is one of the area’s top Austin home builders. For more information, visit the Sterling Custom Homes website. This entry was posted in Featured, Green News, People and tagged Austin home builders, Austin luxury real estate, sterling custom homes on June 30, 2011 by admin. For the next two days, green building professionals will gather in Lake Buena Vista, Fla. at the Residential Energy Services Network (RESNET) conference to discover the latest in home energy ratings, residential energy efficiency financing and building performance. In addition to these key topics, attendees will also have a chance to learn how to develop their businesses through the addition of a social media component to their marketing plans. On the surface, social media may not seem like an integral or even necessary piece of green building marketing. However, more and more, consumers are turning to the internet to find out about the latest in energy efficiency and green building practices. Those in the green building industry who use tools such as Facebook, LinkedIn, blogs and Twitter to promote their products and services will find that they can drive more traffic to their sites and set themselves apart from their competition. To help RESNET attendees navigate through the world of social media, Mitch Levinson, mRELEVANCE, LLC managing partner, is presenting a seminar today. During his discussion, Mitch will teach participates how to use social media and key words to promote their businesses and develop relationships with consumers. For more information about RESNET, visit the website. If you’re unable to attend the conference, but still want to incorporate these tools in your marketing plan, contact Mitch at mRELEVANCE. This entry was posted in Energy Efficient, Green Events, Green News, News, People and tagged green building, Mitch Levinson, mrelevance, RESNET, social media on March 1, 2011 by Carol Morgan. The search for the perfect home can be daunting. Potential homebuyers troll the MLS listings looking at properties in the perfect location. They browse the blurry and often poorly shot photos, squinting and tilting their heads at the screen to judge the true size of the living room. Then, after they note the addresses of what seem like fantastic homes, they’ll call up their real estate agent to go for an in-person visit. And they’ll probably be disappointed. Crude photos and simple floorplan sketches can waste the time of the busy homebuyer. That’s where FloorPlanOnline comes in. The company’s service provides not only the layout of the home, but also beautiful, crisp, detailed photos that are easily accessed from the floorplan. Not only is the “virtual tour” a great tool for consumers, agents can utilize search engine optimization and an analytical program to optimize search placement and measure results. FPO Version 2.0 was recently announced, which adds greater customization abilities and media options. A WalkThru(TM) video component has been added as well as a Room Planner where users can drag and drop furniture. A 2009 study from the California Association of Realtors showed that 20 or more photos online reduced the time a home is on the market by 50 percent. In a competitive real estate market, FloorPlanOnline is a great tool to leverage. 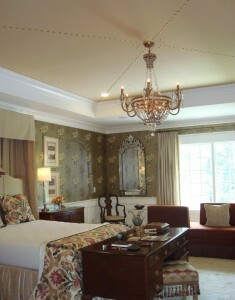 This entry was posted in People, Show Homes and tagged floorplanonline, virtual tour on May 21, 2010 by Carol Morgan. Navigating the world of green building can be intimidating: ENERGY STAR appliances, insulation ratings and materials, double or triple paned windows, low VOC materials… the list goes on and on. 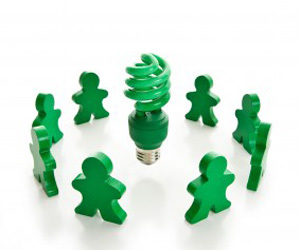 To wind your way through these issues, you need the help of a Green Designated REALTOR®. If you’re in the Atlanta, Georgia area contact Meg Thompson of Meg & Co. Meg recently received the National Association of REALTORS® Green Designation. Meg was trained on green homes, buildings and sustainability issues. She also learned to guide clients through the components of a green home, costs versus benefits, rating systems, green marketing and financial incentives for building or remodeling green. If you are in the Atlanta area and looking to buy or sell a green home or commercial building, be sure to contact Meg Thompson at meg@megandco.com. This entry was posted in Green Certifications, People and tagged atlanta green real estate, green designated realtor, meg & co., meg thompson, national association of realtors green designation on March 22, 2010 by Carol Morgan. Greenhaven is open fo r FREE tours until August 9th. Don’t miss this opportunity to tour Cobb County’s greenest green house. 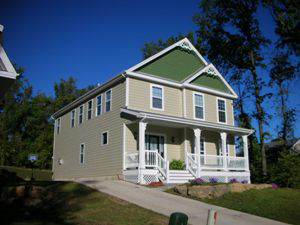 This custom-built green home was built by Pace Homebuilders and it is open for tours Thursdays – Sundays. Lots of people have visited the home to find ways to live greener lives. Last weekend was packed. Be sure to come out this weekend and meet the Designers and hear about their Eco-Friendly home design services. Be sure to look for Richard Feis, the Builder while you are on-site and ask about Sustainable Home Design and Building. Saturday: 9:30 a.m – 5 p.m.
Sunday: 1:30 – 5 p.m. This entry was posted in EarthCraft, Energy Efficient, Featured, Green Events, People, Show Homes and tagged cobby county, custom-built green home, eco-friendly home, Free tours, green show home, greenhaen, Pace Homebuilders, richard feis, sustainable home design on August 4, 2009 by Carol Morgan. 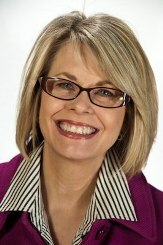 The state home builder associations of Connecticut, Delaware, Michigan, Mississippi, New Hampshire, New York and Oklahoma have affiliated with the NAHB National Green Building Program, National Association of Home Builders (NAHB) Chairman Sandy Dunn announced this morning. The new affiliation makes it even easier for home buyers in those states to find green homes and provides additional technical training, education and business opportunities for HBA members. This entry was posted in People and tagged certified green professional, green building, green home certification, national green building program on October 17, 2008 by Carol Morgan. Recently, St. Louis green builder Matt Belcher cautioned Congress on the danger of one-size-fits-all proposals for home construction. Belcher’s argument is that policies that encourage rather than mandate energy savings are the most meaningful at stimulating greater demand for energy-efficient homes. “The ability of aggressive building code mandates to achieve massive energy and greenhouse gas emissions savings is incredibly limited. The wide-ranging geographic differences in state and local climates create specific building needs, making national benchmarks almost untenable,” he said. 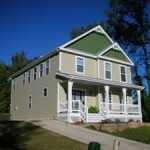 This entry was posted in Energy Efficient, People and tagged energy efficient homes, green home builder, national green building program on October 7, 2008 by Carol Morgan. 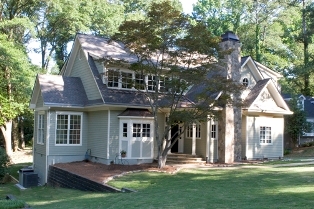 This entry was posted in People and tagged atlanta remodeler, green remodeling in atlanta, national green building certification, wicksteadworks on September 16, 2008 by Carol Morgan.